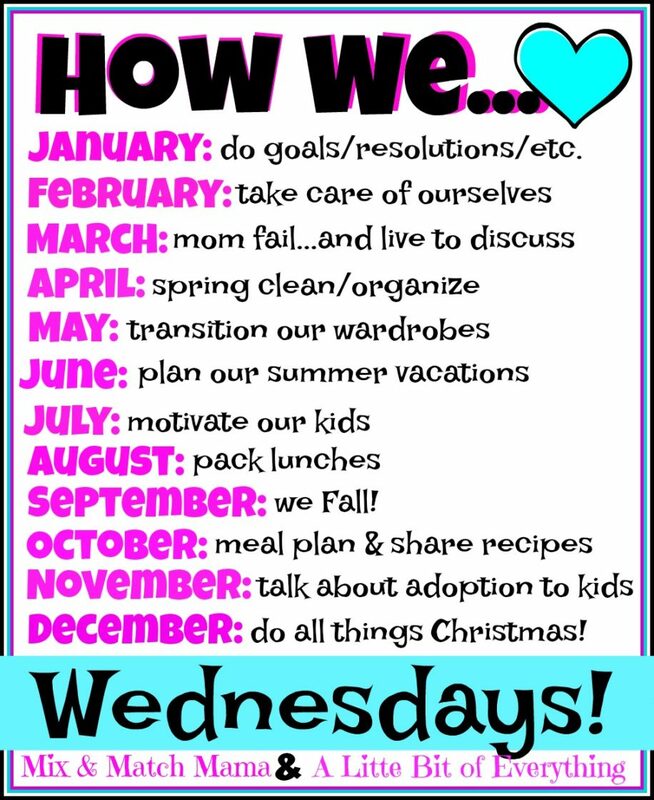 And this month…HOW WE MEAL PLAN & SHARE RECIPES! As much as I love cooking, sometimes, I think just like this myself. …meal plan for the entire month. Now, I’m only my second month in, but friends, THIS IS WORKING FOR ME!!!! I snapped this back at the beginning of September and then forgot about it until the other day, but here I am…meal planning! So, I try and cook dinner five nights a week plus I make breakfast for my Bible Fellowship Group (BFG) at church every Sunday morning and then, I bake an extra sweet treat or two a week to feature here. Now, that I have a solid list for the month, it takes me only minutes to make my weekly shopping list (because isn’t figuring out what to make the hardest part?!). 1: I make my monthly meal plan. 2: On Mondays, I build my grocery list for the week and then order my groceries online for free grocery pick up at my store. I love doing this because you can “favorite” things and then quickly add them to your cart. 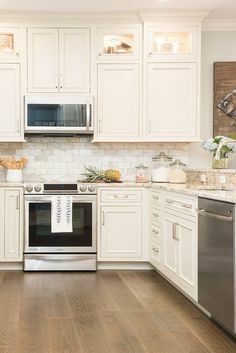 Things like milk, paper towels, bananas, avocados and such are favorited items, so it’s easy to add those things in along with our dinner groceries. I also take a sticky note and write down things that I will need to pick up later in the week that are fresh. I shop on Wednesdays, so if I think that by the following Monday, I’ll need 2 pounds of ground beef or more bananas, then I add that to my list and sometime between Friday and Sunday, I will grab those items from inside the store. 3: On Wednesdays, I go and pick up my groceries from my local supermarket and bring them home. 4: Then sometime later that week, like on Friday, I will go inside the store and grab a handful of “fresh” items that I need or anything else that has come up. And then…repeat the next week. So far, this system is working for us. I was afraid that I would write down something and then later, change my mind…but for the most part, that hasn’t happened. That being said, I can always make adjustments on my list every week. So, that’s what I’m doing these days. What are you guys doing? Going to Costco once a month to load up on lunch items (yogurt, chips, applesauce, etc) has helped make things easier for us this year too. 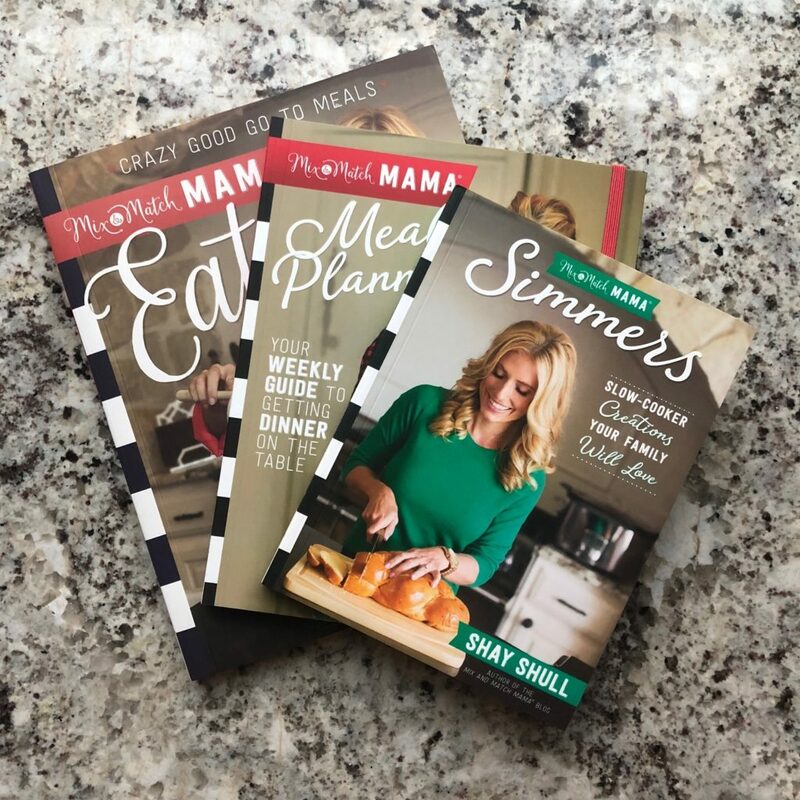 I’m ready…what are your meal planning tips? 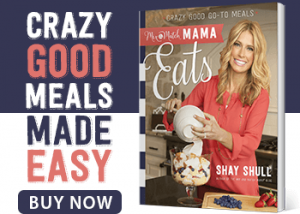 …you can pick up my new Meal Planner Book HERE. 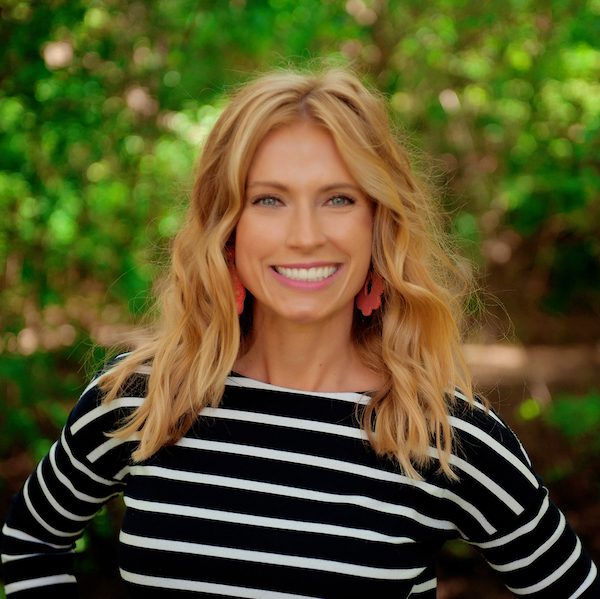 …How we talk to kids about adoption! If you blogged, make sure you link up! I am the same way!!! I try but sometimes fail by the end of the week! I like the monthly option too and shopping mid week! I love your idea of meal planning for the month! I’ve been trying to keep a running list of regular meals we have in my phone that way soon enough I can meal plan for the month and have it all ready to go! I meal plan for the month , but I do it a little different…. I do the same thing except I plan out a few months at a time. Makes life so much easier! I usually finalize my list for pickup on Sundays nights to pick up Monday after work. I start my list mid- week. I’m not meal planning for a family now, just my husband and I. If my girls stop by during the week I always have enough for them. I also have to meal prep my lunches for the week but there are times I have leftovers to do that. Now that my husband is retired we made a pact that he would be in the kitchen 2 days a week and it’s his choice … he can order a pizza or make eggplant grill cheese sandwiches (which were awesome). I don’t care what he does as long as he does it. I will make sure I have staples like potatoes, rice, veggies for him. I have used your cookbooks many times for my meal planning! My Mother-In-Law has done this for almost 35 years! She prints out a monthly calendar, writes down each meal for every day, and hangs it in her kitchen. She told me she was tired of her 3 kids asking everyday what’s for dinner and decided to make it available for them to see beforehand. She still does this even though it’s just her and my Father-In-Law LOL! That’s just so wise! Hahahaha! SO WISE! I add all my new recipes for the season (right now I’m working on Thanksgiving and Christmas! ), so that’s why I didn’t take a pic of the whole thing. 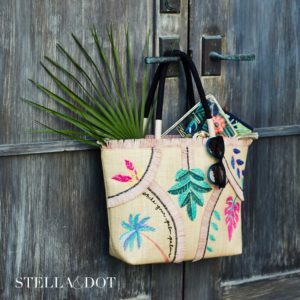 Thanks so much for partnering in this link-up with me! Seeing all those past topics-it’s been a good year! Oh, that’s so good! Monthly meal planning is so smart! Great tip! I meal plan weekly. We do 5 dinners, lunch items for kids, and I make one healthy lunch recipe for myself. I also bake healthy muffins for snacks for my kids. My husband does the shopping. I make the list and he takes our 3 year old. If we have a busy weekend we do online pickup and he runs to Costco a lot for fresh fruit. We also tend to go to Costco weekly. I do the same thing, but I use an actual calendar. I buy the inexpensive month view calendars so I can see everything laid out. I build in our weekly out to eat nights, a few easy nights like tacos and spaghetti, plus a couple leftover nights. A month of meal planning? YOU GO! That’s awesome! Do you ever have leftovers, and if so, do you plan for that? My husband I plan out our meals each week and sometimes plan to have leftovers a couple days a week, otherwise we just have food that goes to waste. Yes! The kids either have it in their lunches the next day or I eat it myself for lunch. Wow! I would love to see a sample month if you’re willing to share! This is amazing!!! I’d love to know what your favorites are from Trader Joe’s! Love the notebook! Where did you find it? Do you ever repeat meals in a month? We tend to have some favorites that are pretty quick and easy meals but that doesn’t leave much room for variety. I usually plan for the week and make a big grocery trip every other week and then just quick stops for milk/fruit/veggies if needed. Yes! Sloppy Joes are a big repeat 🙂 . Shipt grocery delivery has saved my meal planning. I do 95% of my grocery shopping at Target so at first I felt bad not getting my red card or cartwheel discounts but the better planning, no impulse buying, and not getting takeout has made up for it. Where is the boo book from? Is it a meal planner or just a plain notebook/journal? It is too cute!! 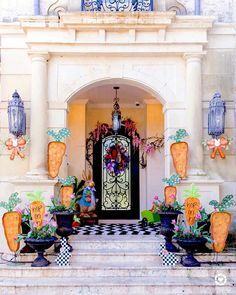 Erin Condren! It’s a notebook. My system is similar to yours…on Sunday, I plan meals for the week (five dinners and 1-2 baked goods) and then on Monday mid morning, I shop in store. I am lucky to be able to go mid morning as it’s not super crowded and it takes much less time than shopping on the weekends. I have tried a monthly plan but I now do weekly because I like to see what’s going on with weather, etc. Being in Boston, I was done having unexpected 80 degree days where I had planned soup weeks before-ha! I order meat delivered from Butcher Box every month or so. Their meat is SO good and it’s really convenient to have it all delivered to your door. So on a week where I have Butcher box, I just buy fruits/veg at the grocery store. Those are my favorite weeks! I have been obsessed with Skinnytaste cookbooks…she has EASY, fast, healthy and delicious recipes for slow cooker, sheet pan or instapot! There are many of her recipes my entire family of five will eat, you understand how amazing that is! I also do a few specialty stores less often…Trader Joe’s for overnight croissants (the best!) and frozen brown rice, a gourmet grocery for deli meat, etc. I make a list of meals for the next 2-3 weeks. I make sure to put a star next to the ones that include fresh ingredients that need to be used right away. I have found that I can’t plan to have a certain meal a certain day- I pick it that morning, when I can see how much time I’ll have for prep. Also, if I’m putting effort into a meal, I try to double and save for leftovers or freeze. I have been meal planning a month at a time for years, and LOVE it! 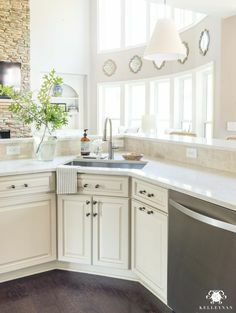 It helps me have already made meals for the nights we have craziness going on and I try to have leftovers or an easy meal on bath nights (mine are young enough that we still need to watch them in the shower/bath). I make a grocery list for the month, broken down into each week, so if I see canned beans are on sale this week and I know I will need them in two weeks, I will stock up on them. So this helps me save money too!! That is so impressive. We are a military family living in Spain, so the meal planning I used to do is no more. Our commissary carries American items, but EVERYTHING is frozen or packaged. Few things are available fresh, so I shop on the economy a lot. I have to go to the butcher for meat, the fish market for fresh caught fish, the paneria for fresh bread and the fruiteria for fruits and veggies. Its a LOT of planning just to get a weeks worth of groceries. Not only that…but sometimes, the meat or fish you were planning on getting is not available…so now, I pretty much just walk in to each of my little neighborhood markets and ask what is fresh and they tell me the best way to cook it (which they usually suggest fried, lol). So my meal planning happens 2-3 times a week and in the markets. When we have a “potluck” no one ever says what they are bringing because you never know what will be available that week. Its been a major life adjustment to say the least. Incredible! While there arent any kiddos in the picture (yet) I’m still an avid meal prepper! The hubby and I go out for Mexican on Friday nights and while there we make our meal plan for the following week. After dinner, we stop at the store, pick up what we need for that list and get it home. Sunday, after church/breakfast and before afternoon sports, I prep (roast, chop, grill, etc) whatever needs to be done so its a week of easily thrown together lunches/dinners. Added perk, there’s a market within walking distance to our gym, so if we need a last minute item during the week, we can pop in after our workout and grab it. Easy peasey! I had a stack of index cards with favorite main dishes (or recipe cards) and when I needed inspiration I’d flip through my cards and pick out five for the week. It was easy to make up a grocery list for items not on hand. I plan weekly and also do online grocery ordering (which is one of my favorite things and I wish they had it when my kiddos were little!). However, I recently started a part-time job and have been a hot mess and totally dropped the ball with planning. This morning I ordered a pick-up with food just for tonight (and a few other things I know we need). I’m totally gonna try this monthly planning. Thanks for sharing! Curious what the “n” notations to the left of the plan are for (just being nosy – ha!). Also, I’ve seen you post about your pantry but have you ever shared how you organize your fridge? Mine is in desperate need of help! I too, make bigger dinners so I can account for my lunches at the office. Also, when making a baking dish such lasagna or roast beef on a slow cooker, I make enough for 2 dinners so I can freeze it for a later day for when we go out of town skiing and I take it out to defrost on the Friday before we leave and by Sunday afternoon we are back, I just pop it in the oven and dinner will be ready in 45 minutes or so. What a great idea–a whole month! Not just a week. I am still on cloud nine!!! We have only made it to a week at a time, but there’s only three of us so it doesn’t feel like too much of a chore. Each week, my work schedule varies so much and changes last minute, so I’m afraid we’d never stick to it if we did a month at a time. Often, changes will happen midweek for us now, so we don’t end up making something but put it on the menu for the following week. It’s a process my husband and I’ve been doing for 15 years now and seems to work well for us. Shay, a couple years ago, my sister in law gifted me with your first cookbook. Each week, my son and I would sit down and pick one new recipe to try from your book for the week. It was so much fun! He just the asked the other night if we could do it again this winter. Heck yes!! 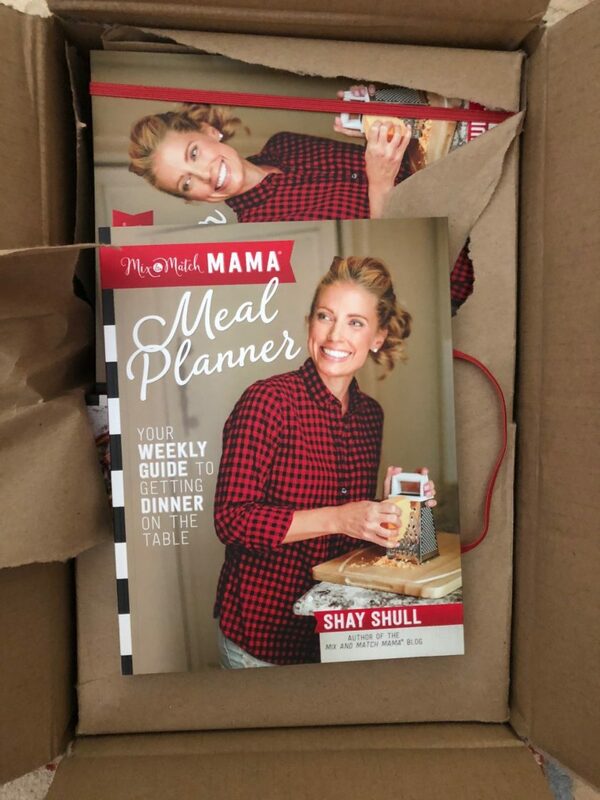 I got your Meal Planner cookbook in the mail yesterday!!! It was a great surprise – gotta love Amazon pre-order! I have been meal planning a month at a time for nine years. It’s half an hour of painful planning every month but then it’s done. And that’s not to say that sometimes meals get switched around or swapped out for eggs on toast, but it gives me an idea of what we’re eating. While our meals change according to the seasons, I try to do one soup meal, one pasta meal, Mexican Mondays, and one “easy” meal (grilled cheese and tomato soup, tacos, etc) a week. We have a mid-week church program from October through April where we eat supper at church so that also really helps with menu planning! I meal plan for whatever I have time for. Always at least 2 weeks a time and I have done up to 6 months in one sitting. I love, love, LOVE using the regular Erin Condren life planner for meal planning! I get the vertical planner and they have the 4 blank lines at the bottom of each day. That’s where the meals go. There is room for sides and even dessert (if we have one). But, thing I love most about doing it right there is that I can easily see the rest of the days activities so I know whether the meal (and time spent making it) fits the rest of the daily activities. If it is too labor intensive for that night, I just look at another night and switch them. Easy peasy! Please Erin, if you’re listening, don’t ever take those lines out of the planners! We have our favorites but I try to throw something new in each week too. I also love being able to so easily look back and see what we have done in months past. I have been known to just copy an entire month from a few months past all over again. Shay, you should do a link up and everyone can share their family favorites so we can get more new ideas! Every time I read one of your posts I always think “I hope I can be half the mom Shay is when I have kids.” You amaze me!! Oh please! Strive for better. I’m just doing the best I can over here…but there is lots of room for improvement. Thank you though, Taylor. You are so sweet! I posted monthly meal plans on the frig when my boys were younger and I was working outside the home. If they got home before I did, they were in charge of starting dinner from the list. I would have meat thawed for them, etc. These boys were in 3rd & 5th grade at the time ….. and they’re still great cooks today in their 20s!! I’m so remembering this for later! My 3 year old has loved to help me bake for a couple years now, I need to work on the cooking training so he can do the same in the years to come! At some point I started opening up Pinterest on the iPad, searching crockpot recipe and handing it to my husband, and he picks what I’ll make that week! So far it’s worked out well and we’ve tried lots of new yummy things! This week I made garlic parm chicken and potatoes 🙂 we are the weirdos that grocery shop for the week Saturday night, haha! I love an empty grocery store! I have a chart that I made to help choose meals when I plan. It’s divided up into columns of chicken, pork, beef, fish, other, and sides and has a bunch of meal ideas listed in each column. I do mine every Sunday for the week ahead, and make my grocery list (I always grocery shop on Mondays and then maybe grab something fresh later in the week, like fish, if I need it). I do it with that week’s calendar in front of me and my husband’s travel schedule. So some nights are planned as slow cooker nights when I know we’ll be pulling in late and starving! And at least one night is a designated “leftovers” night where I actually load the kids thermoses and take them with us to eat at the gym where the kids are in late lessons. This has really eliminated so much stress in my life! I could never go back! I have 4 kids, ages Freshman in college (living at home), high school, middle school, and 4th grade. With all the kids in activities and/or working, I never know who will be home to eat the food that I make, let alone what time we will eat said made food. :0| This has been an interesting stage in life for meal planning. If anyone has been through this, or have any suggestions on how to do this, I AM ALL EARS!!!!! I am right there with you! On Sundays, I pull up the weekly calendar to look at our nightly activities. If we have a game or practice (especially if it is on the other side of the metroplex and our night is spent in the car…yay for rain and outdoor sports…ugh), I plan a crock pot meal for that day. I’m able to set it on “warm” after it cooks and the kids can eat whenever it fits in to their nightly schedule. I do miss sitting down together but we are just not in that stage of life right now with kids in 11, 9, 6 and 3 grades which all play a sport. We use a grocery delivery service (Instacart) which I imagine is similar to grocery pick up and WE LOVE IT. I want to buy a subscription for every new parent in my life (we have a 17 month old). These new conveniences they’re coming up with sure are nice! I sit down on Saturday or Sunday and plan for the upcoming week. I determine how many nights we will be home , for example we are home 5 nights this week (thank you public school fall break, all activities are canceled) so I have 5 meals. I make my list and go to the store. We like to buy our meat fresh so I only buy protein two days at a time. My hubby passes the grocery store on his way home so he often asks if we need anything that day. If something gets wonky during the week and we miss a meal, I just move it to the next week, this is another reason for not buying protein too far in advance. Life happens and sometimes you don’t have time to cook or just don’t feel like it! 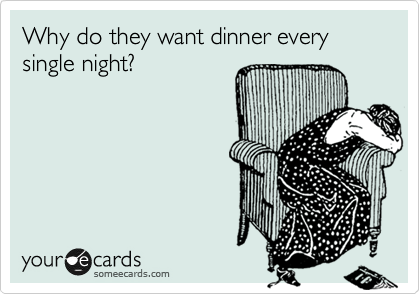 We always eat out on Saturday nights but try to eat at home most other days when possible. Of course, we occasionally get take out. We also eat some form of mexican every.single.week, it could be various kinds of tacos or fajitas but you can believe it is always on the menu. I love your idea of meal planning for a month! I’m going to try it! I was wondering how you plan vegetables and fruits into your month? 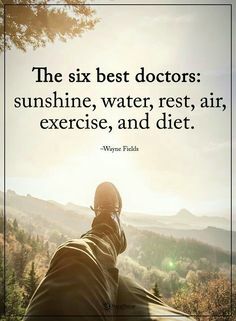 Do you add a couple to every day? It’s always a struggle to get the recommended daily amounts. BTW I love your website! You are always an inspiration! I use Wildtree’s freezer kits or fresh menus and use the app to meal plan and create grocery lists. Makes it a breeze! I grocery shop on the weekend so I typically pull out a big sticky note, survey what I have in the freezer/pantry and then go from there! I try to use what I have already for as many meals as I can and then make a list for any sides or additional meals that I need! I started meal planning several years ago thanks to you! It has helped us avoid the “what do you want to eat?” question every night AND helped with the grocery budget! Now that we are about to have our first baby I am LOVING the idea of meal planning for a month! 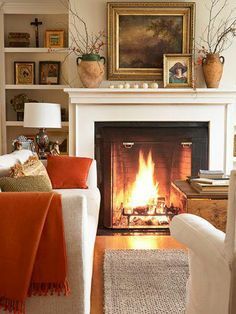 I am going to try this for November and see what we think. We shop at Sam’s, Sprouts, and Walmart depending on the grocery items so I think this would help with grocery budget even more too. Question – do you also look at your schedules/take them into account when planning for the month? Like one night is activity heavy so you for sure do a slow cooker meal? And then edit it as things come up? YES!!!!!! I typically have my planner right with me when I do this. 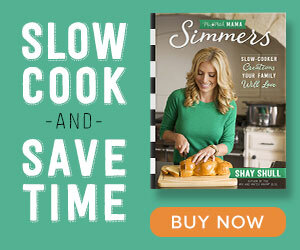 I totally use my slow cooker on nights that are busy! 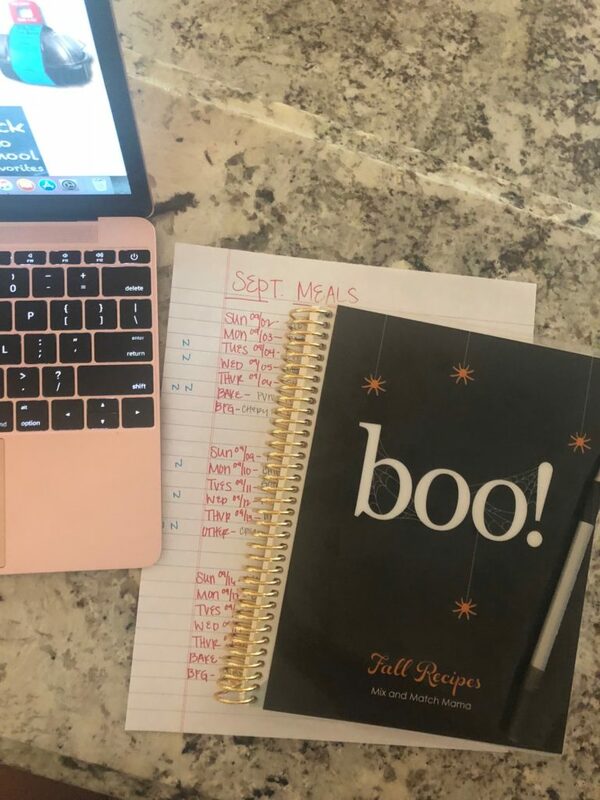 I would love to see an instastory showing your Erin Condren fall recipes book! Is it just a journal that you hand wrote all your recipes? I am always looking for a new way to organize all my recipes. My kids are grown but I totally did this when they were growing up. I created a calendar in word and put in favorite meals first, spaced across the month. Then I’d fill in with either new or seasonal meals. This made sure we didn’t fall into a rut with meals. Of course, I didn’t have curbside pick up back then, but it made life so much easier. I was a stay home mom then, but I subbed a lot in our local schools. When I finally went back to teaching full time (after 16 years! ), this system was already in place. That made adjusting to working easier too. It’s been so hard for me to switch from cooking for 6 and now cooking for 3- it’s not even worth cooking!! I would just declare it a YOYO dinner (You’re On Your Own.) Those kids keep growing up, moving out, and getting married! On another note…I don’t know how you actually post every single day…I can barely post once a week!! Hats off to YOU!! Love this! I so need to get a better system down for meal planning. I’ll have good weeks where I plan on Saturday, then get the groceries/meal prep Sunday and we are set for the week. I can tell my husband loves having the plan in place (so he doesn’t have to pick up take out on the way home as often) but inevitably by the next week I get lazy or run out of time and don’t plan ahead, and therefore it’s take out city. Planning a month at a time seems like a great way to go! Do you repeat meals throughout the month? Copy Me That is an awesome website/app to compile recipes from various websites (like yours!) and have them in one place. Then I use the meal planner portion to add meals to my queue and have a visual of the upcoming week. I move recipes around to avoid having too many like dishes close together. I’m obsessed.